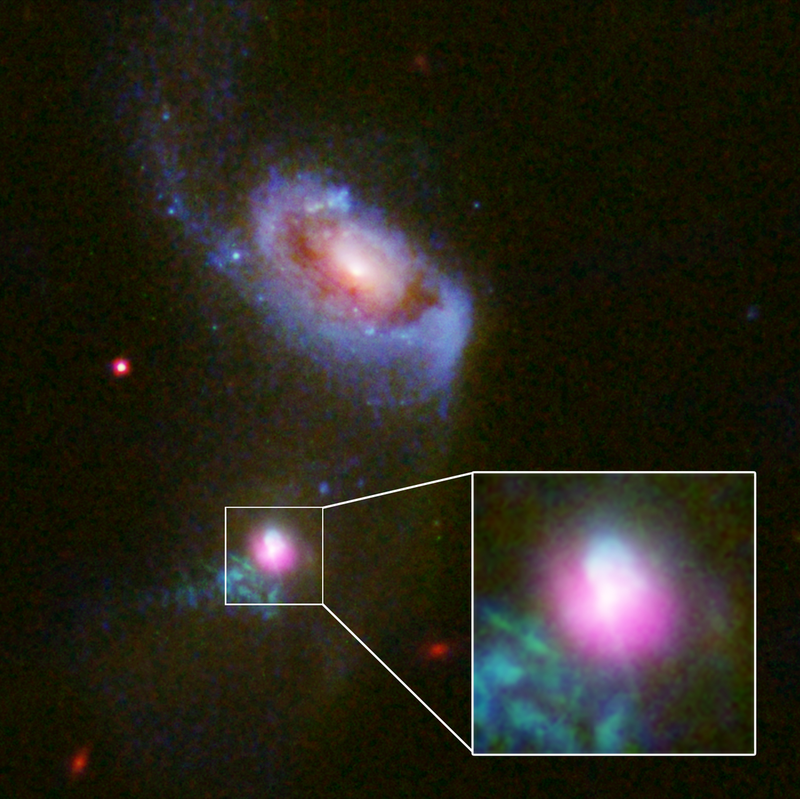 Researchers Spot Massive Black Hole In Double 'Burp' : The Two-Way The cosmic sinkhole is at the center of a galaxy 800 million light-years from Earth and supports the theory that such objects can switch their power output on and off in relatively short time-scales. "The optical data indicate that, in the past, the supermassive black hole appears to have consumed, or accreted, large amounts of gas while blasting off an outflow of high-energy particles. The outflow eventually switched off then turned back on about 100,000 years later. This is strong evidence that accreting black holes can switch their power output off and on again over timescales that are short compared to the 13.8 billion-year age of the Universe.
" 'We are seeing this object feast, burp and nap, and then feast and burp once again, which theory had predicted,' said Julie Comerford ... who led the study. 'Fortunately, we happened to observe this galaxy at a time when we could clearly see evidence for both events.' "